As for tire size, every tire comes with a series of letters and numbers on its sidewall that define its size and construction. Simply refer to your Nissan owner's manual (or the driver's side door jamb) for this information. When it comes to tread pattern, you need to take weather conditions, road conditions, and performance expectations into account. There are four basic types of tread patterns to choose from, each with specific benefits and drawbacks (regarding the aforementioned areas of importance). You have to choose the one that's best for your driving habits. All-season tires: Designed for both wet and dry surfaces, all-season tires are great in the rain (and can handle some snow). The tread pattern is designed to channel moderate amounts of water away from the vehicle to prevent hydroplaning. 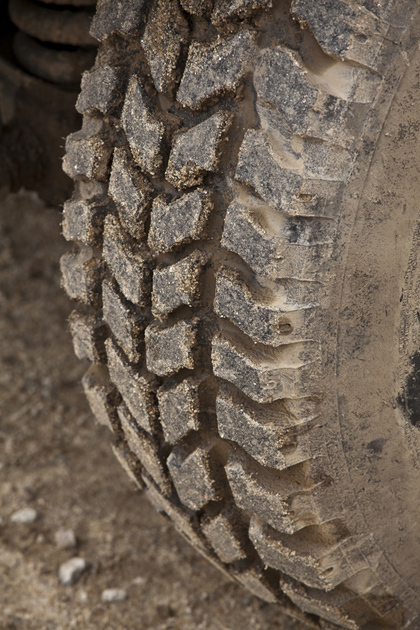 All-terrain: If you plan to take your vehicle off-roading, these are the tires for you. Ready for rain, dirt, and snow, all-terrain tires are an optimal choice if you require great handling in tough conditions; however, they are a bit noisy on dry pavement and tend to wear quickly. High-performance: Designed to provide superb performance on dry pavement, high-performance tires are perfect for those who enjoy taking on tight corners at high speeds. High-performance tires can handle moderate amounts of water, but they are not capable of handling snow. Winter: Recommended when temperatures are below 45 degrees Fahrenheit. They're designed to enhance grip when roads are covered in snow and ice. These won't really be necessary around Roanoke; however, we figured you should know all of your options. 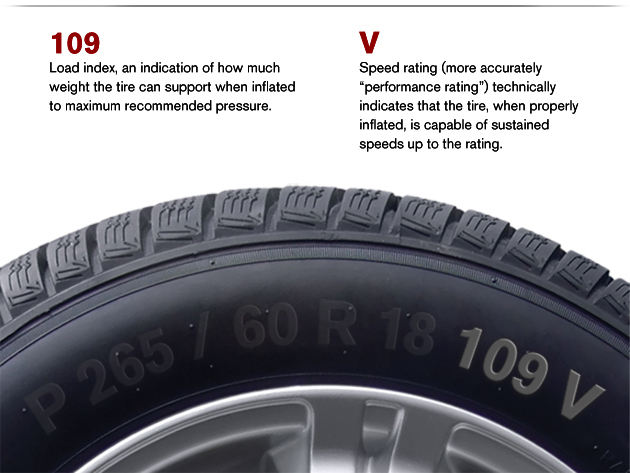 The load index indicates how much weight a tire can handle when inflated to the recommended pressure. Higher numbers indicate greater load capacity. You want to match or exceed the load index suggested. Considering the tires need to carry the car, several passengers, and various belongings, it's a good idea to go above the minimum. The performance rating-also referred to as the speed rating-indicates a tire's stopping, cornering, and heat dissipation qualities. And obviously, it indicates the speed a tire is capable of sustaining. While higher-rated tires are more expensive, it's important to buy a tire that matches the OE recommendation. Get the right tires for your specific Nissan; otherwise, your vehicle performance will suffer. We hope you find this guide useful. If you have specific questions, feel free to contact our Nissan dealer near Roanoke at (706) 558-3196. We are ready and willing to answer any questions you may have.